The Belgian Directorate-General for Development Cooperation and Humanitarian Aid (DGD) will fund the research program on partnership, capacity building and research of the Consortium for Improving Agriculture-based Livelihoods in Central Africa (CIALCA) toward entrepreneurial farming in Central Africa. The program is slated to run from September 2017 for 4 years with a total budget of $3 million. IITA will collaborate with Bioversity International and Soil and Water Management and Crop Nutrition Subprogramme of the Joint FAO/IAEA Division of Nuclear Techniques in Food and Agriculture based in Austria. 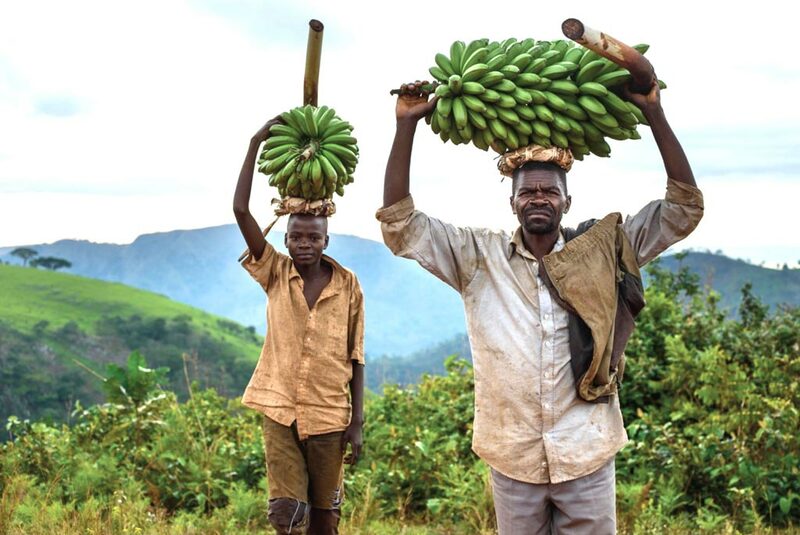 CIALCA has a legacy of improving banana production in the Central Africa region by improving access to clean planting material, and by advancing banana pest and disease control. 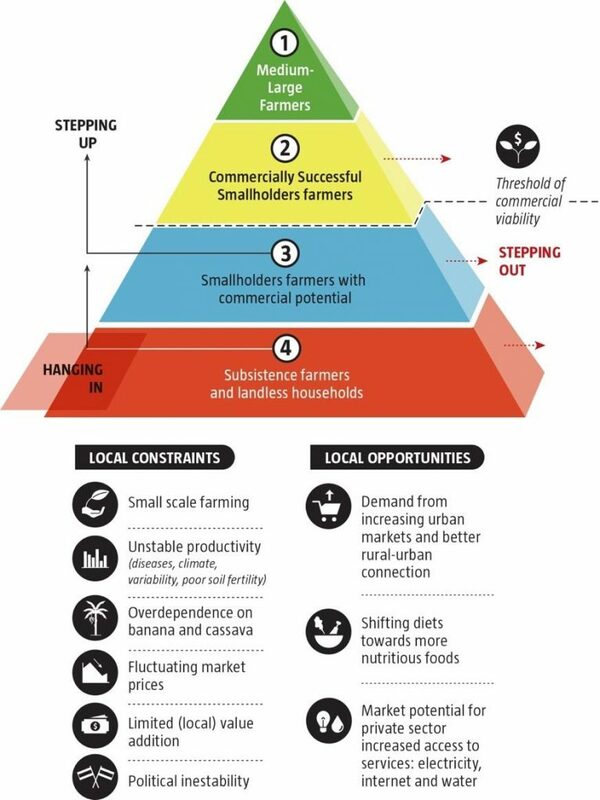 The research seeks to examine how policy and partnership between the public and private sector can transform rural African agriculture from subsistence farming to sustainable income-generating farming. 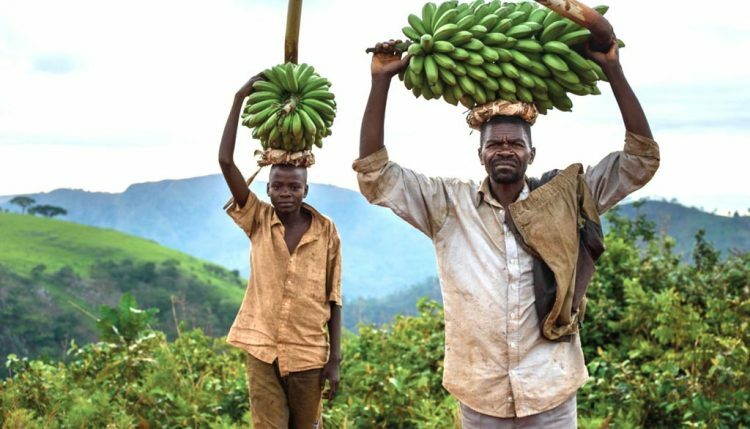 CIALCA’s research agenda is focused on innovative research in banana- and cassava-based systems that will enhance food-, income-, and nutrition security for farmer groups of different socioeconomic, gender, and age groups. CIALCA will embark on using ICT-based data collection, analyses and information dissemination tools to provide decision-support to farmers, service providers and policymakers. CIALCA is closely collaborating with the national agricultural research systems of Burundi, eastern DR Congo, and Rwanda, and will build science capacity through participatory action research and PhD training in collaboration with Belgian universities. Central African areas where CIALCA operates. The fund is part of the Belgian MFA’s $10 million funding to the CGIAR as strategic support toward innovative agricultural research. CIALCA started in 2006 and has since been renewed and reinvented several times to respond to emerging agricultural challenges and opportunities in the Great Lakes Region. Over the 10-year period of research and implementation, CIALCA has registered significant and progressive successes in developing new technologies and innovations, capacity building for adoption and scaling of the technologies, and providing a platform for integrated farming systems used in implementing multi-stakeholder partnership initiatives in the CGIAR. CIALCA is credited with lifting more than a half a million people out of poverty, and training 10 PhDs and 40 Master’s students in Rwanda and DRC, thereby building significant capacity in a region devastated by conflict.